It’s Official! 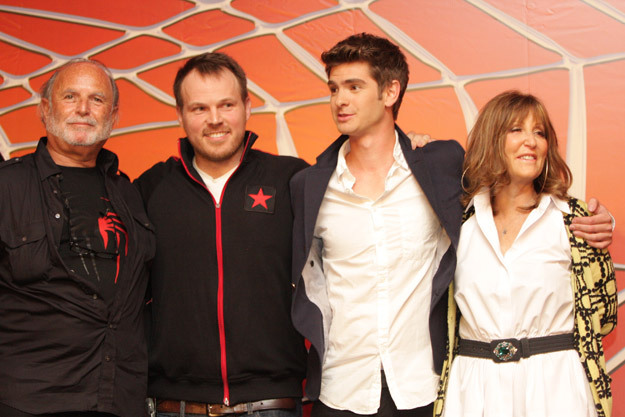 Andrew Garfield to Play Spider-Man! Sony Pictures has officially announced that Andrew Garfield has landed the role of Peter Parker/Spider-Man in director Marc Webb’s Untitled Spider-Man Film! The film focuses on a teenager grappling with both contemporary human problems and amazing super-human crises. 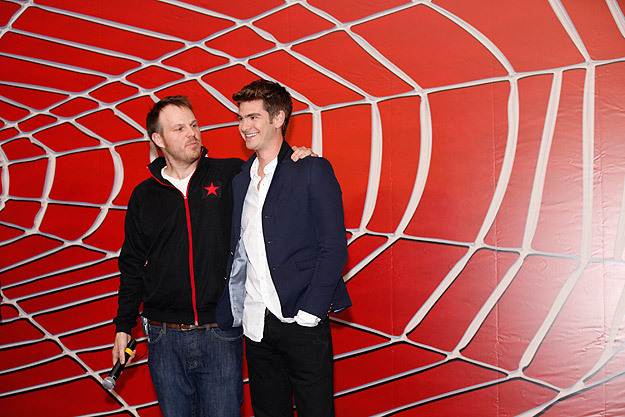 The action adventure will open in 3D and 2D theaters on July 3, 2012. Other notable screen credits include Terry Gilliam’s The Imaginarium of Dr Parnassus playing opposite Christopher Plummer, Johnny Depp, Colin Farrell, Jude Law and the late Heath Ledger, Robert Redfords Lions For Lambs, where he starred alongside Redford, Tom Cruise and Meryl Streep; Revolution Films’ “Red Riding Trilogy  1974” directed by Julian Jarrold, where he lead a stellar cast including Rebecca Hall and David Morrissey, and his unforgettable portrayal of a young ex-con in John Crowley’s “Boy A,” for which he earned the best actor BAFTA in 2008. Garfields career began in theatre and in 2006 his performances in “Beautiful Thing” (Sound Space/Kit Productions), “The Overwhelming,” and “Burn / Chatroom / Citizenship” (Royal National Theatre) won him the Milton Shulman Award for Outstanding Newcomer at the Evening Standard awards and the Jack Tinker Award for Most Promising Newcomer at the Critics Circle Theatre Awards. Other notable theatre credits include “Romeo and Juliet” (Manchester Royal Exchange) and “Kes” (Manchester Royal Exchange), for which he received the Most Promising Newcomer Award at the Manchester Evening News Awards 2004.